Blue Kush Berry is a sweet tasting indica that combines mighty Kush power with a deliciously fruity smell. A collaboration with Chong’s Choice, Paradise Seeds has infused this popular strain with Dutch strength and vitality to produce a high quality performance plant. Although this combination is a relatively new variety on the scene, this plant comes with real heritage. The Kush plant is short and bushy, famed for its very resinous content and the potency of its effect. Add into the mix Shishkaberry and you have a delicious strain which will deliver sledgehammer power with a sweet berry taste. Like other Kush strains, this plant is characterized by low height and bushy growth. Expect the Blue Kush Berry to develop thick compact colas that will burst from the stem like shishka berries in a fantasy summer garden. Once harvest time approaches the color will turn, the buds blushing with shades of purple which will fill your grow room with the most delicious of aromas. Thanks to its size, this is a great plant for the indoor grow setup, especially if you have height restrictions. The easy management of this cannabis plant makes it a great grow room companion and the blueberry tones will bring a pleasant (if pungent) aroma to its surroundings. 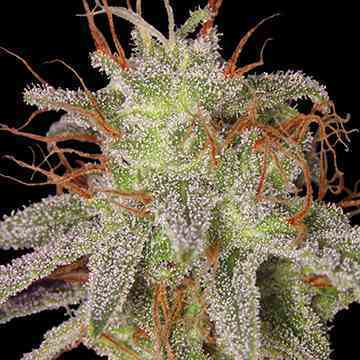 The Blue Kush Berry is also a great performer outside. 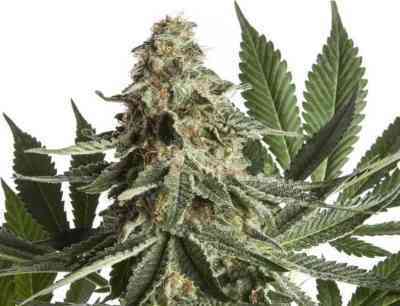 Its Kush heritage makes this a sturdy no-nonsense plant that is suited to most gardens. Naturally it will respond to lots of sunshine but it will also do well in more northern regions of America and Europe. It is worth noting that the distinctive blueberry color can vary depending on climate. With firm big buds that come with a thick trichome crust, shades of purple are juxtaposed against orange pistils and, as you would expect, the taste of this bud is all fruit! The sweet berry taste hints at something soft and delicate but the effect is quite the opposite as it delivers a powerful, long lasting couch lockdown. As well as its popularity with recreational couchlockers and sofa surfers, this strain has medical qualities too – particularly in the areas of stress and pain relief and appetite stimulation.